The beginning of a new era in the port industry in Mexico. 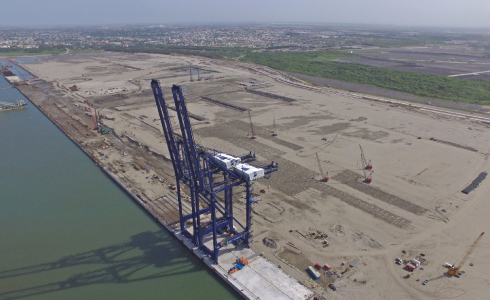 The new Port of Veracruz is the most important port infrastructure project in Mexico, in the last 100 years. This is where , the new Hutchison Ports ICAVE terminal is being built. Requiring an investment of 31 billion pesos, of which 80 percent comes from the private sector and 20 percent from public resources. The west breakwater, reaches a length of 4,245 kilometers, and is considered the largest in Latin America. Therefore, the New Port of Veracruz will be one of the safest to operate in the country. Hutchison Ports ICAVE, the container terminal of the New Port. Hutchison Ports ICAVE is the first company of this new project, which sets the standard in initiating the conditioning of its facilities, with equipment from Shanghai Zhenhua Heavy Industries Company Limited (ZPMC), with an approximate cost of 10 million dollars each. 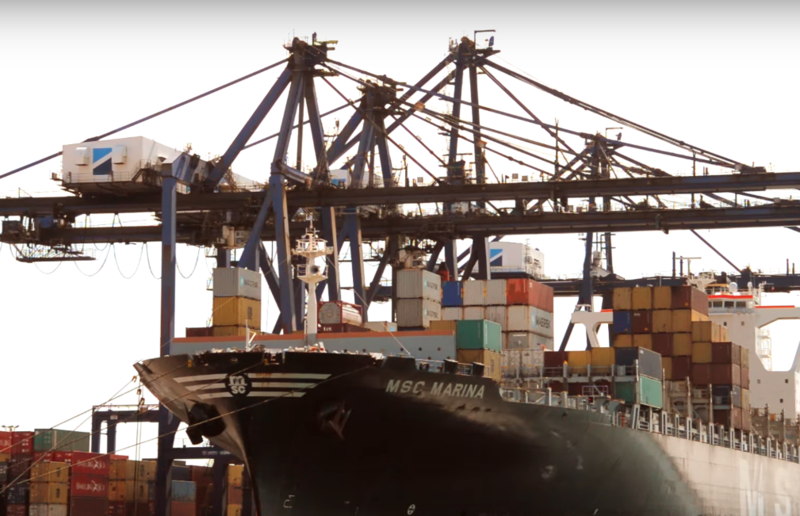 Hutchison Ports is at the forefront of technological advances in the port industry, with state-of-the-art solutions that contribute to greater efficiency in every aspect of its operations. ” indicated Mr. Jorge Magno Lecona, Executive Director of Hutchison Ports. Hutchison Ports ICAVE in charge of Lic. Susana Díaz Virgen, marked a precedent in the port history of Veracruz, initiating operations on May 2, with the movement of empty containers for the Shipping Lines, in the facilities within the Logistics activities Zone (ZAL) in the new Port of Veracruz. It is important to note that the installation in the ZAL has 9 hectares that will house 9 thousand TEUs, for the next 5 years. WORK PROGRESS IN THE NEW PORT OF VERACRUZ.